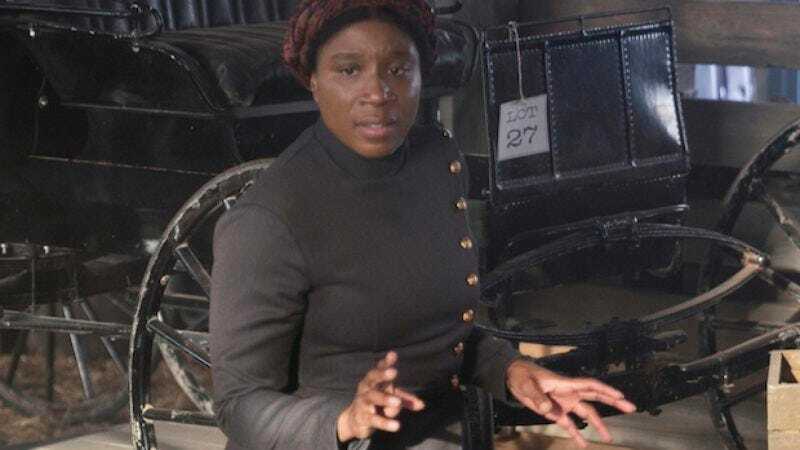 Aisha Hinds is currently holding things down on two network dramas: She plays Harriet Tubman on WGN America’s Underground, and she’s costarring in Fox’s Shots Fired. Though the shows are set hundreds of years apart, they both deal in weighty subject matter—the former is a historical thriller set in the antebellum South, while the second tackles police violence and the systemic racism that leads to it. Hinds not only juggles both series, she gives breakout performances in them. But she’s going to take a break from profoundly relevant dramas to chase monsters with Stranger Things’ Millie Bobby Brown. Deadline reports Hinds has joined the cast of Godzilla: King Of Monsters, a follow-up to Gareth Edwards’ 2014 film starring Bryan Cranston. Michael Dougherty is directing the sequel, which also stars Vera Farmiga, O’Shea Jackson Jr., Kyle Chandler, and Ken Watanabe. Hinds’ role is unknown, but Farmiga, Brown, and Chandler will all be playing one big, happy, terrified family.